Production facilities of the company are concentrated in 3 workshops with a total area of ​​1900 sq.m. 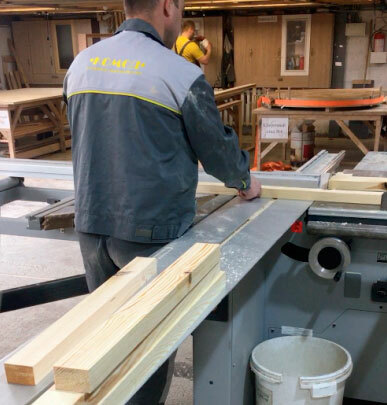 Manufacturing furniture, we utilize a wide range of materials: all types of solid wood and composites. For surface coating, we use paints, varnishes and lacquers by foreign producers only. Guaranteed quality and fast work. Our team unites over 90 persons as of now. We care about knowledge and skills of all our employees. Training, courses, sharing experience and professional development is part of our everyday life.